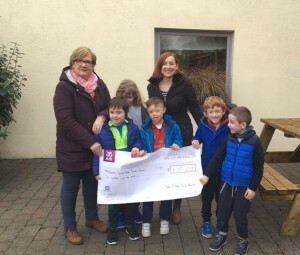 Kenmare News | Kenmare Special Needs Children’s Group say thank you! Kenmare Special Needs Children’s Group say thank you! would like to sincerely thank everyone who donated to the group during 2018.Thanks to those who supported the coffee morning, those who baked and generously gave spot prizes and to everyone who acknowledged the group with donations. Thank you to Siobhan O’Shea and the Sean O’Shea Darts Committee for their very generous donation after their recent darts tournament. Kenmare Special Needs Children’s Group is a volunteer led organisation, relying on fundraising to help the children in the group reach their potential through horse riding and swimming locally. The group caters for children from the ages of 4 to 18 and all funds raised and donated help with these ongoing therapies which are essential to the development of children with special needs.